Remember Apollo 13, “Houston, we have a problem.” What happened next? Mission control director, Gene Krantz gathered his experts around a table and requisitioned their best ideas and within hours they had invented new equipment and techniques to solve the most critical issues. How do you get the same level of innovation from your team when you can’t fit them around a table? Come hear how companies are changing the bottom line through leveraging 3GiG solutions at DDPC & AAPG in June 2016. The 3GiG team attended many of the technical presentations and exhibits at last weeks Offshore Technology Conference here in Houston, TX. The conference was a blast! 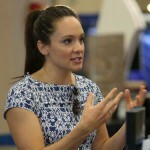 What were your thoughts and impressions from OTC? 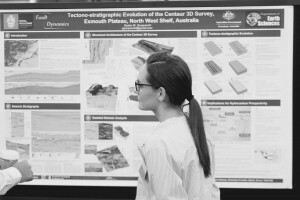 3GiG LP’s Sasha Gumprecht presented her Masters of Science Thesis on the “Tectono-Stratigraphic Evolution of the Centaur 3D Survey, Exmouth Plateau, North West Shelf, Australia” at the 2016 AAPG-SPE International Conference & Exhibition in Barcelona, Spain. Shortly after the conference, Ms. Gumprecht spent a week volunteering as an ESL teacher in Causeni, Moldova, living with a local host family and teaching English language lessons to children and young adults. 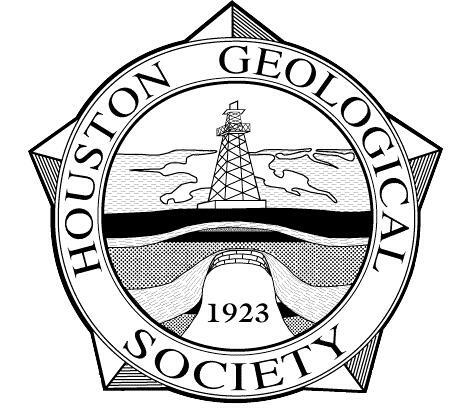 3GiG LP’s own Sasha Gumprecht took the second place award in the Student Poster category at this year’s 65th annual Gulf Coast Association of Geological Sciences (GCAGS 2015) conference in Houston. Ms. Gumprecht’s presentation and poster was on her Masters of Science Thesis on the “Tectono-Stratigraphic Evolution of the Centaur 3D Survey, Exmouth Plateau, North West Shelf, Australia” and was part of the Global 3D Seismic – GCSSEPM – session chaired by Eric Scott of Talisman and Thomas Hearon of ConocoPhillips. Sasha received her award from Meredith Faber, AAPG YP Committee Co-Chair. 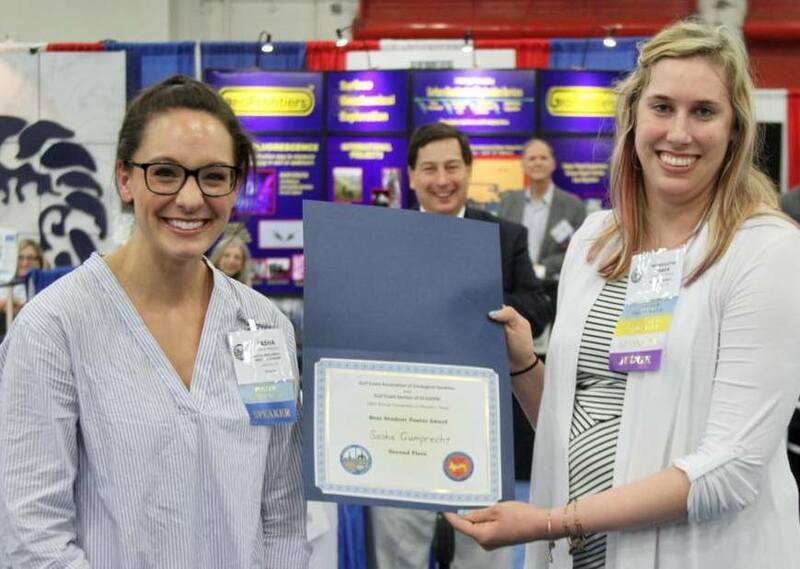 Congratulations to Sasha and all the participants in the AAGP-SEG Student Expo! GCAGS Annual Convention next week – see you there? 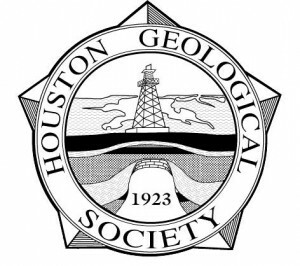 Another week, another great opportunity to hear the latest news and perspectives from 1,000+ veterans, professionals, and students from the geoscience community throughout the Gulf Coast region as we prepare to join them at this year’s GCAGS conference next week (Sept 20-22nd, George R Brown Convention Center, Houston). 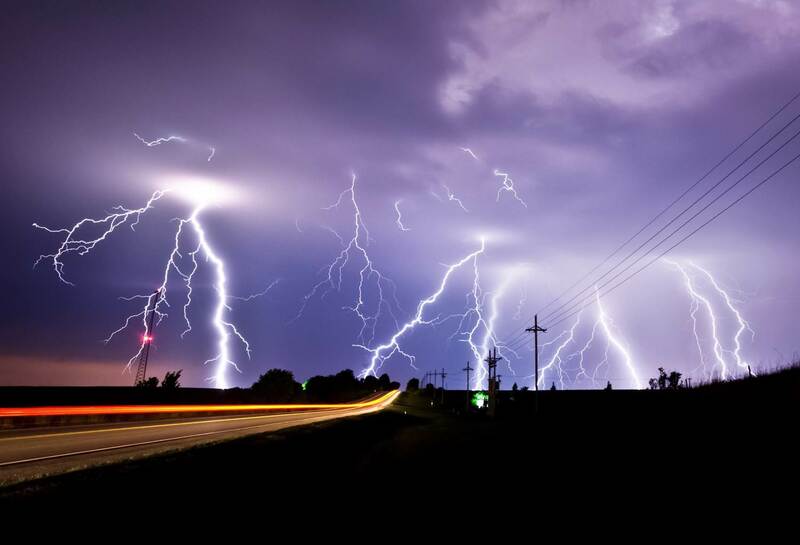 We’re particularly looking forward to working with our friends at Dynamic Measurement LLC, as they demonstrate how lightning databases open new ways to measure and monitor natural resources – an area of work for which they will be accepting the Grover E Murray award for best published paper of 2014. (“Aquifers, Faults, Subsidence, and Lightning Databases”) . Be sure to visit with them at booth 435 to learn more about this new and exciting non-invasive technology, and to hear from H. Roice Nelson and Louis Berent as they demonstrate O&G field correlations from lightning attributes, and show how it is possible to map faults using resistivity and permittivity rock property volumes derived from lightning databases. The GCAGS is also partnering this year with the AAPG-SEG student Expo, and we’re very excited to see our own Sasha Gumprecht present her MSc Thesis on the Tectono-Stratigraphic Evolution of the Centaur 3D Survey, Exmouth Plateau, North West Shelf, Australia during the oral sessions on Monday afternoon. 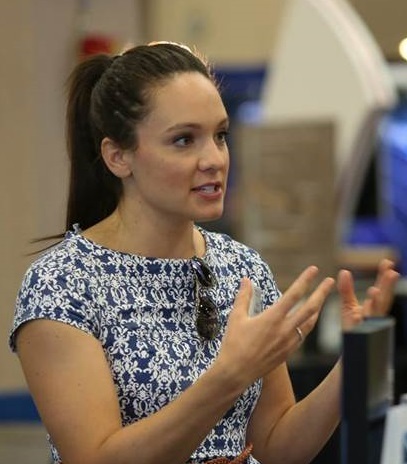 Her presentation is part of the Global 3D Seismic – GCSSEPM – Session that will be held in room 310 (chaired by Eric Scott of Talisman and Thomas Hearon of ConocoPhillips). Join us at 4.30pm for what promises to be a very informative presentation.